Warning: This MOD will void your warranty. You will have to open the device and leave traces behind by performing it. Only perform this Mod if you are willing to take a risk. Since I have already voided my warranty of both my Nexus 5 (2013) and Nexus 7 (2013), why not do it again? 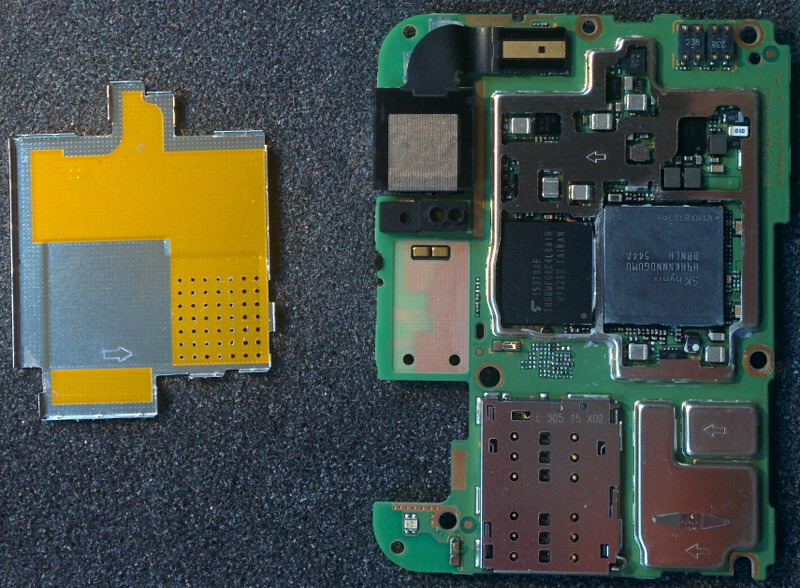 There are a few things I do not like about the Nexus 6P and having looked at some pictures from various Teardowns, I was pretty confident that I could improve this device as well. Be warned that this device is really hard to open and I had a few failed attempts before. What can you expect from this MOD? A more reliable device, better cooling and less Thermal Throttling. I want to thank Aquatuning Germany for helping me out with this guide by sending me this nice thermal paste as well as the required Heat Gun I was lacking. Phobya NanoGrease Extreme: This thermal paste has a insane thermal conductivity of 16W/mK which promises excellent results and will replace the pink rubber used by Huawei. Alphacool HardTube Heat Gun Pro 2000W: This Heat Gun has 3 different levels of heat: 100°C - 450°C - 600°C and can burn a hole in your hand if you´re not careful. I was afraid at first because the visor glass is very thin, curved and looks like something which will break just by staring evil at it. If you really think you have what it takes to torture your device, let´s proceed! You might also consider to get some sort of basic repair kits for mobile devices if you´re not confident that the tools mentioned by me are enough for you to perform this MOD too. This video inspired me to give it a try too. I think this one is a nice example and since it helped me to finally give it a shot, I guess it is worth mentioning. You need to open your device and to make sure that you lay down your display on a soft surface in order to prevent it from being scratched. 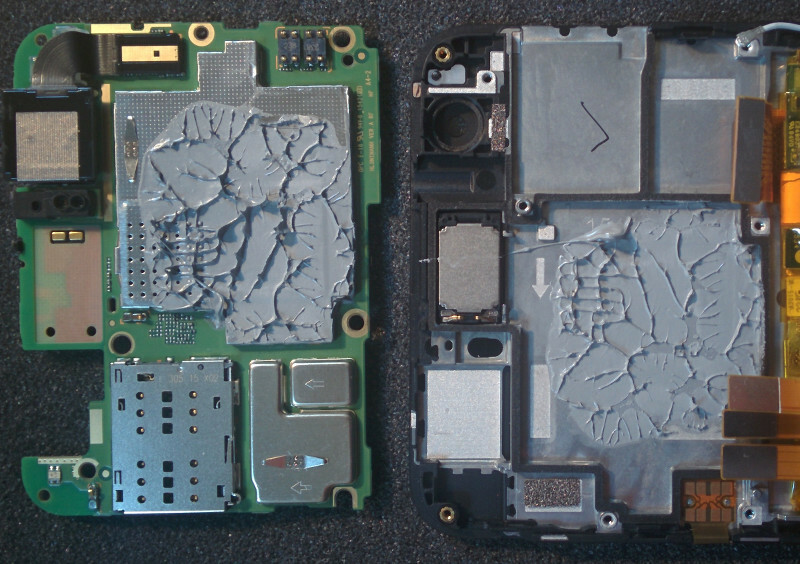 Don´t forget to remove the SIM card tray right after. Use a Heat Gun to soften the glue and carefully insert a very thin razor blade between the visor glass and the Aluminum case. It is a great idea to raise the phone from your table by using some spare piece of wood or else you might heat it up too. Be warned that you might need several tries before you can cut through with a thin razor blade or some self made blades out of a soda can if you are not a experienced phone technician who does this kind of stuff on a daily basis. I tried at first the 100°C setting but this one took too long. I switched over to the 450°C setting and kept a good distance because there is a high risk of damaging the components or even igniting stuff. Finally, I removed the critical visor glass without shattering it. This is really scary if you have never done anything like this before. Use a Heat Gun for the lower plastic part but be careful because this part does not like heat at all and might warp and change the colour. You really need to be patient on this part. Fitting a razor blade works too but it is not as easy as you might think. Once you have built a lever and raised one lip, everything is pretty easy. Use a thin plastic card or similar object to cut through. Now you need to remove all 6 screws with a precision screwdriver set and make sure that you don´t lose them. Removing the back was quite tricky if you lack the tools. I had to borrow a very thin guitar pick made of metal in order to open the case. Remove the screws of the motherboard and disconnect all connectors. It is easier to remove the motherboard if you remove the 3.5mm headphone jack and front camera first. Now you will see the rubbery thermal paste used by Huawei. It looks cheap and also feels cheap. I bet it is not the highest grade paste used either! I put the motherboard on a antistatic foam and had a closer look. Use rubbing alcohol and some cue tips for ears, paper towels or even toilet paper in order to get rid of the old thermal paste. This looks a lot better, eh? Clean the closed container with rubbing alcohol too. The back of the lid also needs some cleaning too. That looks a lot better. Use rubbing alcohol again and clean the SoC and the back of the lid. Alphacool Eisschicht: These pads have a insane thermal conductivity of 17W/mK which promises excellent results. I´ve used them in my Nexus 5 (2013) Mod too since these 2 stripes are enough for many modifications. Attach the thermal pad you want to use. You will need about 15x15x0.5mm in order to fully cover the SoC. Make sure to attach the pad in such a way that you can still close the lid later. The SoC is a really tight fit but it seems that such a pad might work out too if it can adapt to the gap without high pressure. At first I used the Phobya NanoGrease Extreme thermal paste I received. This paste reminds me of Arctic Silver 5 and it is not very easy to apply. It is quite thick and needs some patience. You can use thermal paste instead of a thermal pad too but it´s up to you to decide, how much you need in order to fill the gap which is quite noticeable. Apply the thermal paste on the metal area too, make sure that you do not use too much of it. Let some space for the metal contacts to touch the area too. It does not look too good but once you attach the motherboard back, it will fit like a charm and adjust itself to the existing structure. Use a thick "drop" of paste and let the lid of the EMI shield spread the paste for you. There was a huge discussion about how much thermal paste I´ve used and in order to avoid it. I´ve performed this Mod 2x now and there is barely any difference noticeable between the first and the second try. The thermal paste between the SoC is a lot dirtier while a thermal pad does not create that much mess. Like I said before, I´ve performed this Mod twice and there is barely any difference noticeable between using a pad or using thermal paste. I get slightly better scores in Benchmarks now but in the end I should have let the device like it was after the first try. Here is a nice picture for you. This is how the area looked after I removed the motherboard again. I simply used a larger surface of the lid to connect with the metal area which wasn´t a issue after all. Did I flood the whole device with thermal paste? Did it change the thermal conductivity for the worse? Absolutely no. And now some of you might wonder, what happened to the SoC first? Was this one drowned in thermal paste too? Well, just have a look at this picture too after I scraped off the thermal paste. As you can see, there was barely any "mess" at all or else it would have looked a lot worse. The "grey" layer is tough to remove though but it does not matter in the end since you cannot reach some pores with a paper towel. It won´t affect the thermal conductivity of the now attached thermal pad. There was nothing wrong with the modification itself, I simply wasted more material than necessary. The whole device runs smoother and feels warm and nice after a while. The display remains warm too and also the Aluminum back needs a while to heat up. Sooner or later this device will throttle too but it will take a lot longer before it heats up enough because the heat is dissipated faster through the elite thermal pad and thermal paste. I´ve played again with various benchmarks and the high scores and linear temperature increase are evidence enough for me that the cooling is great the way it is now. Many guys have mentioned that I used way too much thermal paste. I might have used a lot more than necessary which is quite a waste but it doesn´t flood the entire case and spills out of every corner. You can use a lot less paste or even try a small metal plate (about 0.3mm - 0.5mm thickness) if you have the patience to measure the actual gap between the EMI shield lid and the metal area on the display frame. I´ve tortured this device a lot and can confirm that the heat dissipation is still a lot better than it was before. I might open this device at a later time again and see if I really made a mess and also provide you with pictures. I just wanted to show you my Mod and also inspire some of you who also like to perform crazy experiments. This was the main reason why I went through the trouble of creating this guide. RngrYogi was brave enough to perform this Mod too and used nearly the same ingredients (similar thermal paste and thermal pads) like I did. Check out what he has to say about his results. He can confirm that the Mod helps the device to lower the thermal throttling intervals and to recover faster His Benchmark results also show that this phone can deliver a great performance when it doesn´t heat up too often. I will update the OP from time to time if I get more success stories like these. How reliable are Benchmarks when it comes to testing for stability or performance? Even if you perform 100 runs, you have a high tolerance between the results you get. All I was interested in was the temperature increase which is shown in some Benchmarks. It´s linear which is a good sign that everything worked out fine, even if I used a lot of thermal paste to fill the major gaps. That´s enough evidence for me that the cooling of the SoC works like intended and didn´t change for the worse. On the other hand, if this Mod would have decreased the cooling performance of this device, the scores should also be way lower? Simple logic because a hotter phone tends to throttle more often than a device with a better cooling. I use a customized, rooted and debloated Stock based ROM (MMB29Q) which suits me well. Every system is different and it also depends which kind of Apps you use. I used two different ways of stressing the whole system by forcing the CPU to use the max. speed at any times in order to generate as much heat as possible. The right tool for me was the usage of the ElementalX Kernel and the EX Kernel Manager App by flar2. 1)Stock Speed, no overclocking at all: Performance Mode activated and Min=Max frequency enabled for all cores. I also killed all active Apps like eg. WhatsApp and let the device stay idle for a while before performing the Benchmarks. Like I said before, there is no way to ever get the same results because every device has a different configuration and amount of Apps installed. The used Kernel settings can also influence the performance. Here is a great example of how unreliable Benchmarks are when it comes to comparing the performance. I don´t want to link huge image files directly in this OP, this is why I post external links this time. If you don´t trust me, see for yourselves that both images are 100% unaltered. 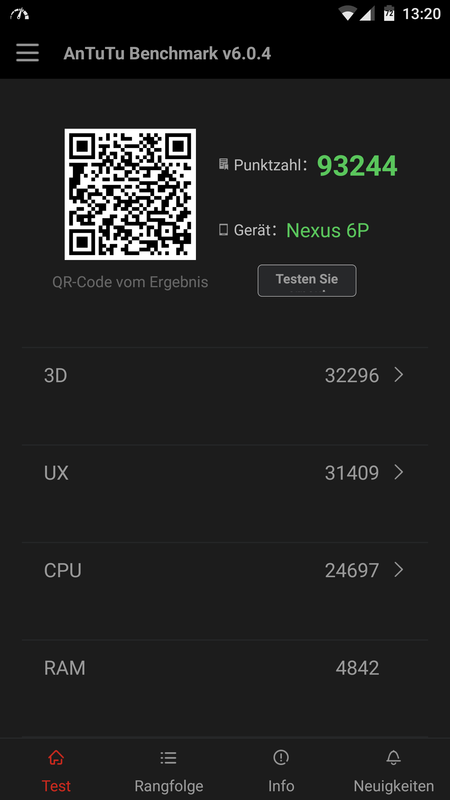 28 February, Antutu 6.0.4 @ maximum overclocked speed: This time I was able to install the update and perform the test under the same conditions like yesterday since I didn´t change anything again. You get a different result for many reasons. I guess I made my points clear why I don´t really trust Benchmarks when it comes to comparing scores only? I trust my user experience instead. If the device performs well, Apps open fast and I don´t feel any lagging at all, I don´t care if one Benchmark would show me 100k points or even 40k points. In the end I want to make clear that this modified device will also throttle sooner or later when the device heats up after a while which is inevitable, even if you use the best thermal paste available. The cooling system of this phone is physically limited. Even if you use a diamond sheet instead of thermal paste, this device will still heat up at some point. It would also take a longer time. This MOD can prolong the time needed for the Thermal Throttling to kick in because it helps to dissipate the heat faster. If you play heavy games or use the phone for Benchmarks only, you might notice the Thermal Throttling to kick in after eg. 2 hours instead of 1.5 hours. I also made a full NANDroid Backup in TWRP which included all partitions and also enabled compression. The phone heated up like you are already used too but it was not as hot as before. It felt a lot cooler. I am happy with the results, in terms of reliability this is a great improvement for me At least now I know what I have inside and for me it was worth it. I feel honored that this Guide has been mentioned at XDA in this article and also in the video. Impressive efforts to open the phone. How do you go about sealing it back up when you are finished? Using a heating gun to re-melt the adhesives to make it sticky again. Buying thermal paste for a phone that is so difficult to take apart (2/10 repairability score on ifixit) is a complete waste of time/money/effort. If someone does this, they will see little, if any, noticeable gains where it effects the way they use the phone, and they will have severely weakend the bonding strength of the adhesives in the process. Not to mention the numerous ways of messing up the disassembly/reassmbly and resulting in a brick. And now since the warranty is now voided, they have to buy a whole new phone at full price to replace the one they just turned into a paper weight.. It's just asking for trouble and definitely not worth it. Tons of risk for little gain. Chances are if you were to take it out again, it would have gotten everywhere by now. I wouldn't be surprised if it started leaking out at one point. Yep, definitely too much. For a CPU that size, something like a grain of rice should be enough. Way too much paste. Also, spreading it around like that creates air pockets which are a no-go. Not a huge deal for this little processor, but still something to note. Also, toilet paper? Hell no - at LEAST use some high quality paper towels. Toilet paper would make a mess and fall apart. Good on you for being brave and trying it. Some real tests would've been cool to see how much of a difference was truly made though! OK, I might have gotten over the edge with the thermal paste and I see that in case I would want to remove the motherboard again, it would be a lot harder now. This kind of thermal paste is also quite sticky. I've created the guide to show you what would be possible to achieve with this phone, in case you like stuff like this. However, like I mentioned in the OP, this modification is very hard to perform since opening the device involves many risks. I like experimenting though and if my Nexus 6P should fail, I'm out of luck. I was thinking to get another plate of copper, if there is a gap,or some thermal pads, not alot you can do, better to have an efficient SOC or implement a better way to get the whole phone to absorb the heat.